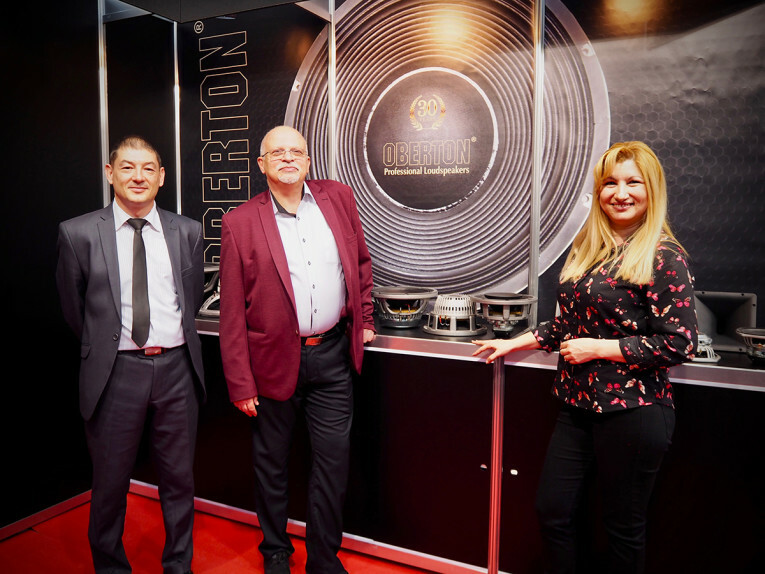 Oberton Professional Loudspeakers, the professional audio speaker company from Bulgaria celebrated 30 years in business at the 2019 Prolight+Sound show in Frankfurt. 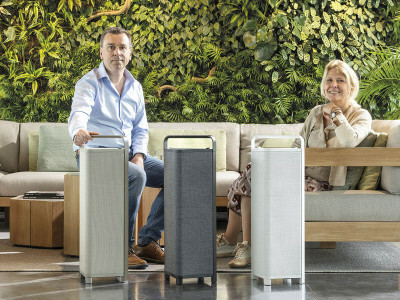 Oberton used the opportunity to promote its latest product catalog and introduced several new models, including the 10NHCX and the 15H4CX72, new 10" and 15" members of the company's extended range of coaxial drivers; the new 18NSW700, a high-power 18" neodymium woofer with low Mms; and two new 2" and 1,5" neodymium compression drivers with 4" voice coils, the NDC72-16 and ND100-16. Iliyan Kirov, Peter Shtarbov, and Doni Kichukova at the Oberton booth during Prolight+Sound 2019, signaling 30 years in the professional audio loudspeaker business. 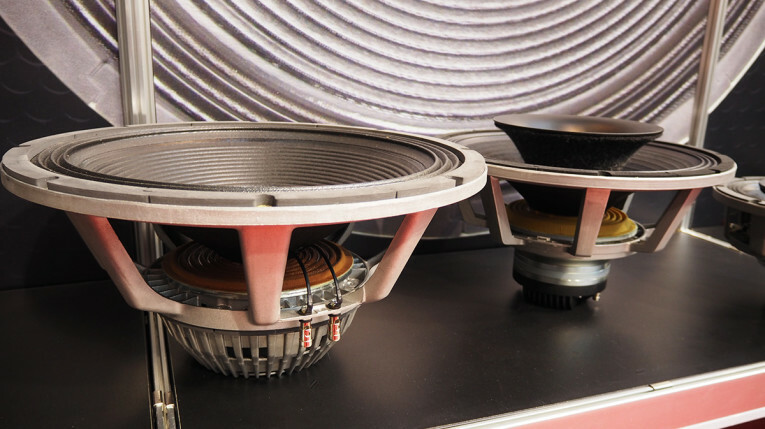 Based in Plovdiv, in the heart of Bulgaria, Oberton has been designing and manufacturing loudspeakers since 1989, helping its OEM clients to build products that meet or exceed the highest audio performance standards. The company is able to combine precision engineering in well-designed products using high-end technologies and materials, maintaining very competitive price levels. 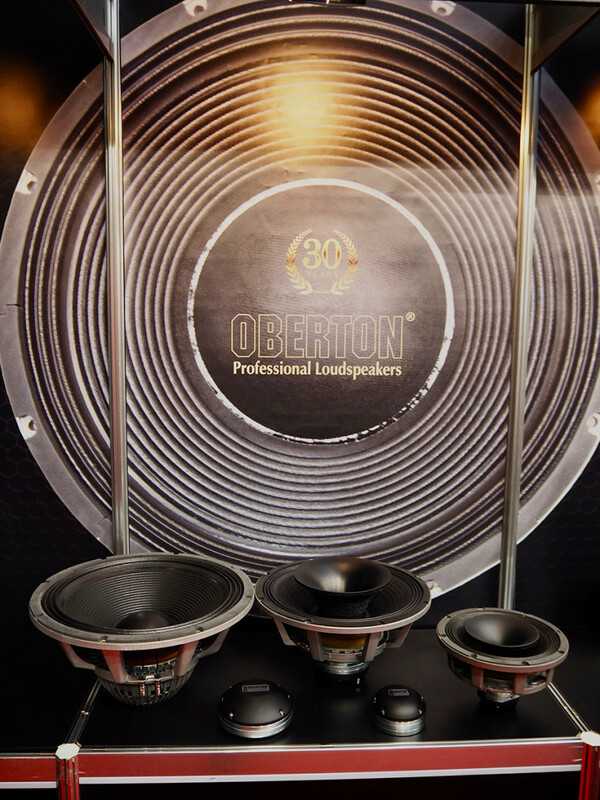 Oberton is recognized in the market for its high reliability professional loudspeakers and HF drivers, which meet the increasing requirements of modern sound reinforcement systems and the expectations of clients from all over the world. The company's catalog features an impressive set of neodymium and ferrite professional cone loudspeakers going from extreme low-frequencies to midbass and full range, HF drivers, coaxial loudspeakers, as well as glass fiber and ABS horns. For Oberton, Prolight+Sound offers a unique opportunity to meet OEM/ODM clients from all over the world, particularly from Central and Eastern Europe, the company's main export markets. Peter Shtarbov, Oberton’s general manager, always welcomes visitors with a personal touch of Bulgarian hospitality, but this year the mood was particularly upbeat with the celebration of the company's 30th anniversary and a general positive outlook for the business. One new 18" woofer, two new coaxial designs and two new 2" compression drivers, all using neodymium magnets. 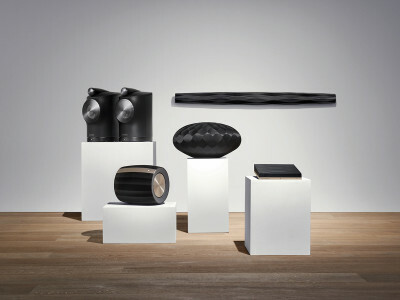 During the 2019 Prolight+Sound show in Frankfurt, the Oberton team introduced five new important products for 2019, expanding its offering in key market areas. 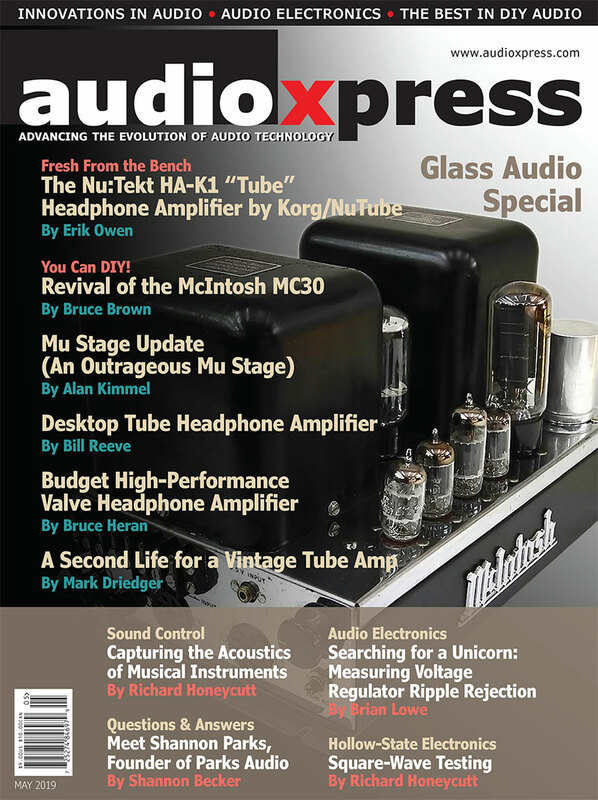 First is the new 10" coaxial driver, the 10NCX, which expands the neodymium coaxial family in Oberton's catalog. A 10" / 1.4" coaxial transducer, with a nominal dispersion of 80 degrees and a curvilinear LF cone, this low profile driver will provide a smooth response within its intended frequency range, and will be particularly well suited for stage monitors and compact bass reflex enclosures. The cone receives a protective coating which makes it waterproof, allowing applications in a wide range of environments. 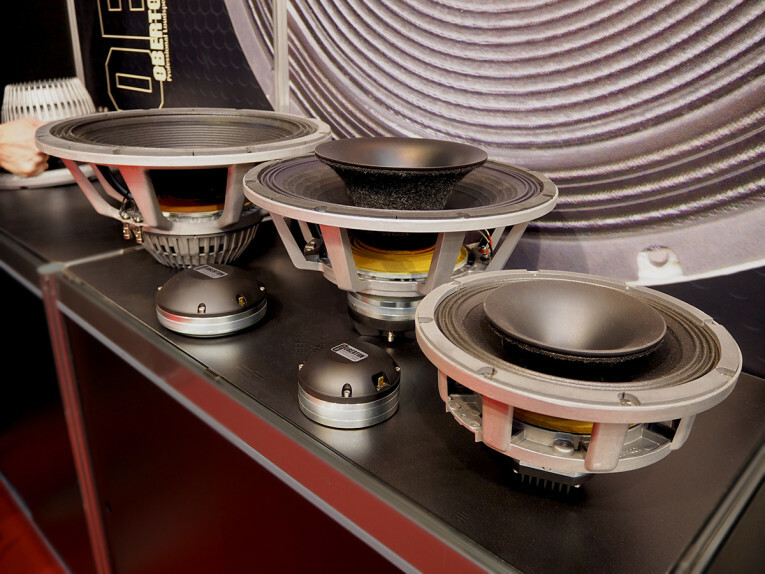 The state-of-the-art 77 mm (3") LF voice coil uses a glass fiber former, which together with high temperature resistant resin ensures high levels of reliability and is able to sustain high power. 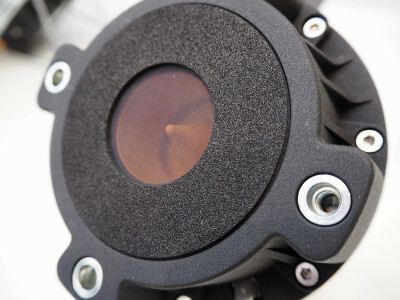 The double aluminum demodulating rings on the magnet structure reduce distortion and inductance and improve transient response, while compliance is provided by a silicon spider. The top frequencies are delivered by a neodymium 1.4" exit compression driver, which was basically adapted from Oberton's existing ND72CT model. According to the company, the HF driver diaphragm assembly, using a cotton composite dome together with a phasing plug, improves linearity of the frequency response in the high end and provides excellent vocal reproduction. The HF magnet structure has a cooper ring on the pole piece, which reduces the inductance figure for frequencies above 10 kHz, improving phase and impedance linearization and ensures extremely high SPLs. 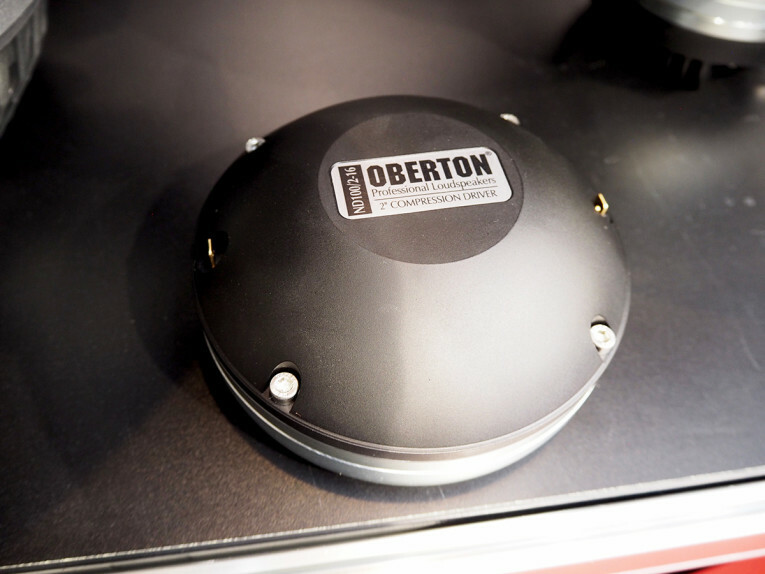 But Oberton also introduced another larger neodymium coaxial design, a 15" driver with 4" LF plus 2.85" HF voice coils, able to generate 400 W + 100 W program power with 101.5 dB + 110 dB sensitivity. 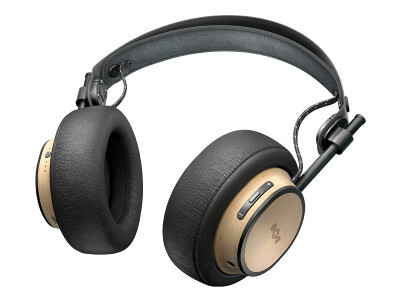 The new 15H4CX72 is undoubtedly an impressive driver with the low frequencies using a 4” high temperature voice coil with an aluminum demodulating ring and silicon spider, water protected cone and copper plated pole piece and top plate. The high frequencies are delivered by a 1.4” exit neodymium compression driver - adapted from Oberton's ND72HB model - with a 2.85" high temperature voice coil and using a 60 degrees conical integrated horn. 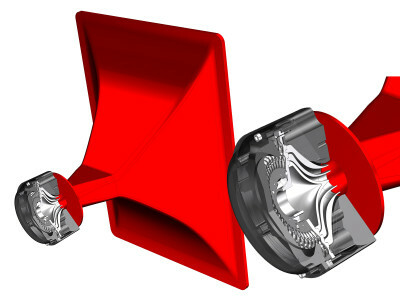 The HF diaphragm assembly uses a hybrid dome with a phasing plug to improve linearity. The double magnetic structure features a cooper ring on the pole piece, which improves linearization and allows to get maximum performance even at extremely high SPLs. 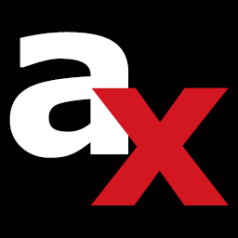 Again, this is a solution that would fare well in compact bass reflex enclosures and high end stage monitors with 60 degrees of nominal dispersion (vertical and horizontal). 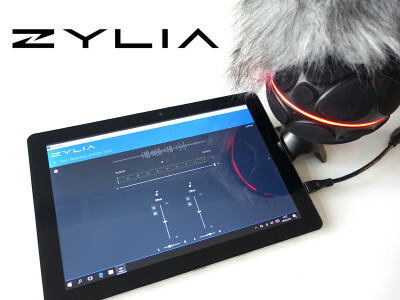 The extremely light 4" LF voice coil ensures low Mms, which is ideal for perfect voice reproduction, while the neodymium compression driver, with its hybrid dome, will enhance the top end with a very smooth but powerful response. Closer view of the new Oberton 18NSW700 bass loudspeaker and the 15H4CX72 neodymium coaxial design. 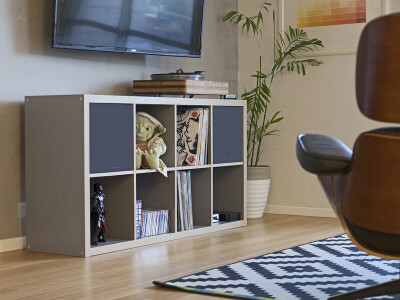 Getting down to the lower register, Oberton also added an 18" model to its extensive range of neodymium woofers. The 18NSW700 bass loudspeaker was designed to deliver high impact bass response and exceptional high power capacity. 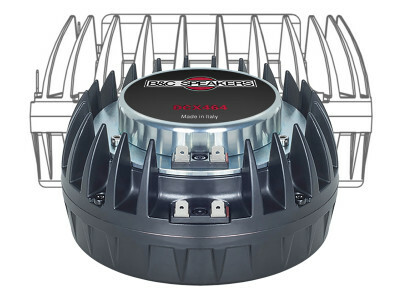 Featuring a 77 mm (3") high temperature sandwich voice coil and a powerful, vented neodymium magnet structure with a double aluminum demodulating ring and double silicone spider assembly for improved excursion control and linearity, this woofer is able to generate 1400 W AES of program power. The paper cone is reinforced with carbon fibers and the structure uses a die cast vented aluminum frame. The result is a high efficient transducer for precision bass applications, with the ability to handle high excursion with low distortion. As Oberton details, the 18NSW700 has very low Mms and Le, which ensures very fast bass reproduction. The new 2" ND100 neodymium compression driver from Oberton. Finally, Oberton previewed two new 2" neodymium compression drivers, both with 4" voice coils - the NDC72-16 and ND100-16 models, both designed for a wide variety of applications in high quality, high power professional reinforcement systems and stage monitors. The larger model, is rated for 250 W program power and 112.5 dB sensitivity, while the more compact model is rated for 125 W program power. The company has been researching new HF designs, both in 1.4" and 2" formats, using new dome materials like carbon and cotton composites, together with high damped vented polycotton suspensions to significantly reduce THD at high SPL and improving response linearity. Both new compression drivers feature carbon composite domes, which the company states, provide exceptional high output with very low distortion, reducing breakup modes and ensuring a perfect frequency response in the targeted range. 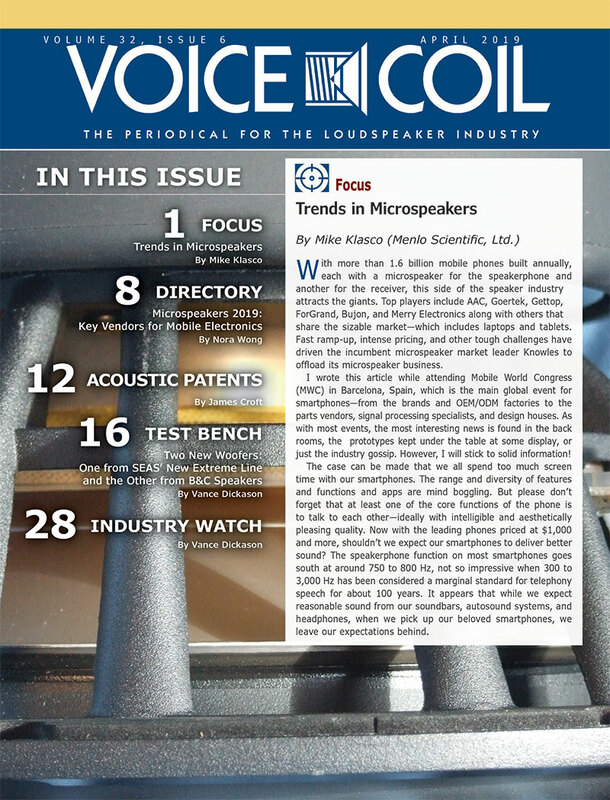 In both drivers, the voice coil assemblies are easily field replaceable without soldering.